Blizzard has responded to complaints over the closure of Nostalrius, an unofficial vanilla World of Warcraft server. Earlier this month Blizzard issued a cease and desist order, demanding the closure of the World of Warcraft Nostalrius server, one of the most popular private World of Warcraft "vanilla" servers. The closure led to a petition calling for the reinstatement of the server, which has since gathered over 235,000 signatures. World of Warcraft's executive producer, J. Allen Brack, responded on the official forum today, saying that the team has been "closely following the Nostalrius discussion," and that Blizzard's silence on the matter "definitely doesn't reflect our level of engagement and passion around this topic." Brack says that while Blizzard has "looked into the possibility" of working with private servers, there is no "clear legal path to protect Blizzard's IP and grant an operating license to a pirate server." "We explored options for developing classic servers and none could be executed without great difficulty," Brack wrote. "If we could push a button and all of this would be created, we would. However, there are tremendous operational challenges to integrating classic servers, not to mention the ongoing support of multiple live versions for every aspect of WoW." "One other note - we've recently been in contact with some of the folks who operated Nostalrius. They obviously care deeply about the game, and we look forward to more conversations with them in the coming weeks." "We wanted to let you know that we've been closely following the Nostalrius discussion and we appreciate your constructive thoughts and suggestions. Our silence on this subject definitely doesn't reflect our level of engagement and passion around this topic. We hear you. Many of us across Blizzard and the WoW Dev team have been passionate players ever since classic WoW. In fact, I personally work at Blizzard because of my love for classic WoW. Why not just let Nostalrius continue the way it was? The honest answer is, failure to protect against intellectual property infringement would damage Blizzard's rights. This applies to anything that uses WoW's IP, including unofficial servers. And while we've looked into the possibility - there is not a clear legal path to protect Blizzard's IP and grant an operating license to a pirate server. 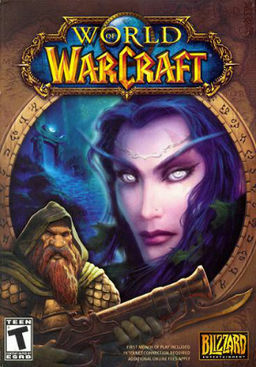 So what can we do to capture that nostalgia of when WoW first launched? Over the years we have talked about a "pristine realm". In essence that would turn off all leveling acceleration including character transfers, heirloom gear, character boosts, Recruit-A-Friend bonuses, WoW Token, and access to cross realm zones, as well as group finder. We aren't sure whether this version of a clean slate is something that would appeal to the community and it's still an open topic of discussion. One other note - we've recently been in contact with some of the folks who operated Nostalrius. They obviously care deeply about the game, and we look forward to more conversations with them in the coming weeks.